You are curenlty in Nurse Assist Inc Usp Sterile Water For Irrigation 120ml, Foil Lid Container made by Welcon and asigned to category. Purified With An Advanced Multi-Stage Process Using Reverse Osmosis. Sterile And Ready To Use. Multiple Package Options For Customer Convenience. You have selected Nurse Assist Inc Usp Sterile Water For Irrigation 120ml, Foil Lid Container from Miscellaneous Disposables. We hope that this Nurse Assist Inc Usp Sterile Water For Irrigation 120ml, Foil Lid Container made by Welcon is what you were looking for. If you have any questions about this particular Nurse Assist Inc Usp Sterile Water For Irrigation 120ml, Foil Lid Container or any other products from Miscellaneous Disposables, please call us. We have an experienced staff that will gladly help pick out the correct Nurse Assist Inc Usp Sterile Water For Irrigation 120ml, Foil Lid Container for you, also. 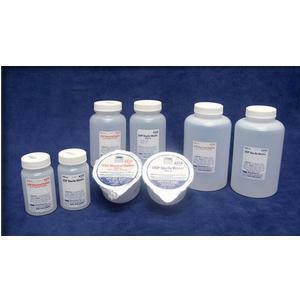 If you are looking to make a purchase of Nurse Assist Inc Usp Sterile Water For Irrigation 120ml, Foil Lid Container in large quantity or you are a Hospital or Medical facility and need help on making a purchase of Nurse Assist Inc Usp Sterile Water For Irrigation 120ml, Foil Lid Container made by Welcon, please contact us.